Weobley, perched on Gower's wild and lonely north coast, is not quite what it seems. 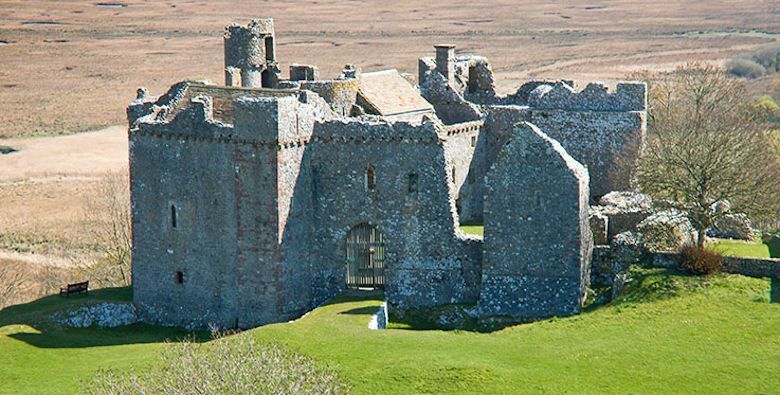 Despite its name, it served more as a fortified manor house than a serious military stronghold. Built by the knightly de Bere family in the late 13th and 14th centuries, well preserved Weobley reveals plentiful evidence of its owners' over-riding desire for creature comforts. Domestic necessities such as a fine hall with fireplace, private rooms, sizeable guest-chamber and numerous 'garderobes' or toilets can be seen, along with a two-storey porch block added in later times. Telephone:- +44 1792 390012 - Access:- B4271, or B4295 to Llanrhidian Village, then minor road.